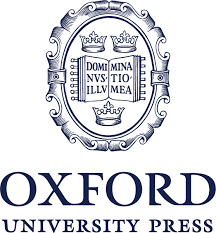 Dryad is very pleased to announce more integrations from charter member and partner Oxford University Press Journals. Oxford University Press (OUP) publishes over 300 journals, many with the support of learned societies. As part of Oxford University, OUP brings a rich history of working with researchers. Behavioral Ecology – published on behalf of The International Society for Behavioral Ecology, Behavioral Ecology publishes studies on the whole range of behaving organisms, including plants, invertebrates, vertebrates, and humans. Data publication is sponsored for Behavioral Ecology authors. BioScience – published on behalf of the American Institute of Biological Sciences, BioScience has been publishing current research in Biology since 1964. Environmental Epigenetics is an open access journal that publishes research in any area of science and medicine related to the field of epigenetics. Toxicological Sciences is the official journal of the Society of Toxicology and publishes influential research in toxicology. Data publication is sponsored for authors for Toxicological Sciences. Journal of Urban Ecology is an open access journal which covers all aspects of urban environments. This includes the biology of the organisms that inhabit urban areas, the diversity of ecosystem services, and human social issues encountered within urban landscapes. Virus Evolution serves the community of virologists, evolutionary biologists and ecologists who are interested in the genetic diversity and evolution of non-cellular forms of life. Work, Aging and Retirement reflects a broad community of professionals in the fields of psychology, sociology, economics, gerontology, business and management, and industrial labor relations. Integration with Dryad ensures bidirectional links between the article and the data, and increased visibility for both. It also simplifies the process of data submission for authors. All data in Dryad is reviewed by professional curators who perform basic checks to ensure discoverability and proper metadata, and becomes freely accessible online once approved. Oxford University Press is increasing its commitment to authors and to quality by making it easy to publish datasets alongside the manuscript, and by allowing data to be available during the peer review process. We’re delighted to build our partnership with Dryad by integrating this set of OUP journals. Providing authors with a simple and user-friendly route to data sharing helps to increase transparency and reproducibility of published research, and ultimately must be good for science. We hope to integrate more of our journals in the near future. To learn more about journal integration with Dryad and DPCs, contact us. This entry was posted in Journals, Publishers by Meredith Morovati. Bookmark the permalink.